From diagnosis to treatment, our team of gastrointestinal oncology specialists utilize the latest technology and treatment protocols with a continued goal of positive outcomes and quality of life for each and every patient. Thank you for entrusting your health in our care. If you or a loved one is dealing with a diagnosis of pancreatic cancer, our multispecialty team of gastrointestinal cancer specialists at West Cancer Center & Research Institute is here to surround you with the latest treatments and technology to design a personalized treatment plan specific for your disease. Our goal is to also provide resources and information to better help you understand and manage your disease. Your pancreas is an organ that releases enzymes to aid in digestion and hormones to manage your blood sugar and is behind the lower part of your stomach. Pancreatic cancer affects the tissues of your pancreas and is difficult to detect in its early stages. • A high level of bilirubin, a substance made by your liver, is an indicator that a tumor is blocking your bile duct. 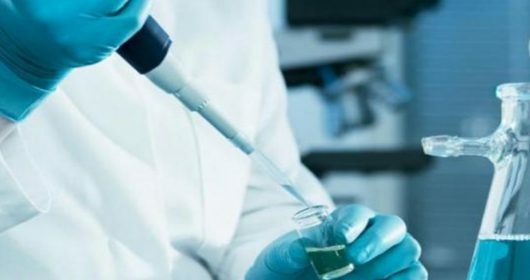 • An increased level of the protein CA 19-9 in conjunction with other diagnosis and blood tumor markers can be an indicator of pancreatic cancer. • Having high levels of the protein carcinoembryonic antigen is found in people with cancer of the gastrointestinal tract. A donut-shaped piece of equipment uses low dose radiation, either with or without a contrast fluid to detect abnormalities in your pancreas. This procedure is done when your pancreatic ducts may be blocked or narrowing and allows your physician to look at your ducts without surgery. Magnetic Resonance Cholangiopancreatography MPCP reveals the extent of tumor growth within your gallbladder or bile ducts to help determine if a tumor can be surgically removed. Additional MRI may be necessary to see if the tumor has spread to the liver or other organs. A radioactive substance is injected into your bloodstream to collect in cancerous cells and identify the exact location of your cancer. Your pancreatic cancer treatment plan will vary depending on multiple factors including, but not limited to, your stage of diagnosis, as well as the location of your cancer. Your dedicated team of cancer experts will discuss your treatment options and plan with you, allowing you and your loved ones to consider all possible treatment options for your diagnosis. Sometimes just the middle of the pancreas is removed, usually for benign (noncancerous) tumors and the remaining pancreas is attached to the stomach or intestine. Uses powerful drugs specifically designed to destroy your pancreatic cancer cells that are dividing rapidly. These drugs may be given before or during radiation to improve your outcome and care. If you have tumors that are confined to the tail (left portion) of the pancreas your surgeon will remove the tail and sometimes part of the body of the pancreas and the spleen. This surgery can be done with an open surgical technique, laparoscopic ally or robotic-assisted. This targeted therapy assist your immune system to find and eliminate the tumor cells. Late stage pancreatic cancer with MMR (DNA mismatch repair) deficiency or high MSI (microsatellite instability) are approved for immunotherapy. High energy x-rays are used to destroy your pancreatic cancer cells. The type of treatment, dose and frequency are determined by your radiation oncologist. If diagnostic tests show that your cancer has spread throughout your pancreas, your surgeon may recommend a total removal of the pancreas, involving removal of the gallbladder, part of the stomach, part of the small intestine, the lower half of the bile duct, the spleen, and nearby lymph nodes. 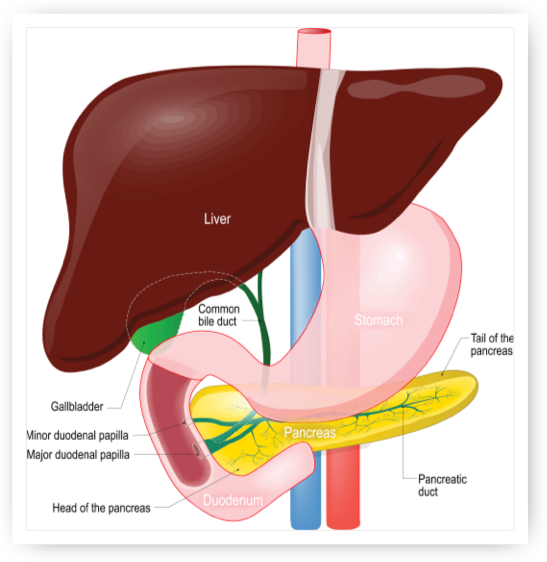 If your bile duct tumor is outside the liver (extrahepatic), your gallbladder, part of your stomach, part of your small intestine, your bile ducts and the right section of your pancreas is surgically removed.